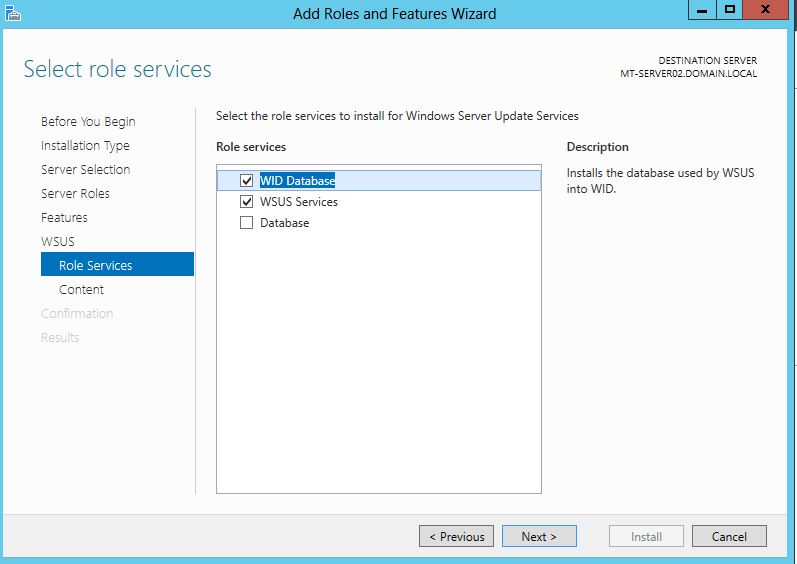 I started to install WSUS service on Windows Server 2012. 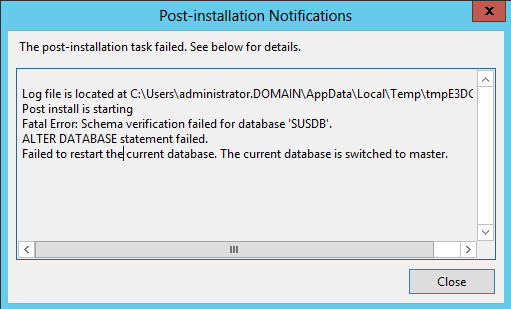 I selected to install Windows Internal Database as store of WSUS metadata. So if computer has problem with restarting database, let’s restart service. Didn’t help 🙂 Let’s restart whole computer. Didn’t help either. So the problem will be somewhere else. Let click Close and look what’s new in WSUS. 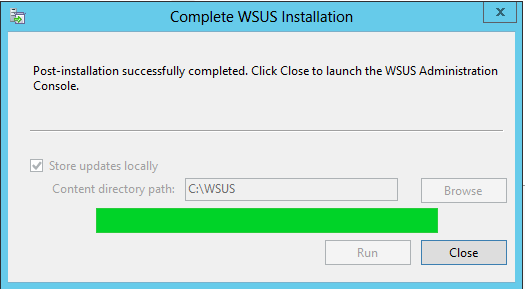 First we need to configure WSUS and I did it using WSUS Wizard. I don’t see any news in this Wizard compared to older one. I haven’t notice any news in WSUS mmc console. I always use client side group targeting. This feature allows you to create groups of computers in WSUS structure. It can be used to target updates specified for testing to just group of computers and so on. To make this working you need to set client side of group targeting by defining name of Group and also you need to create new Computer Group in WSUS structure. What I always forget it to create these Computer Groups in WSUS structure 🙂 I would love to see some option to allow WSUS to create these Computer Groups automatically. 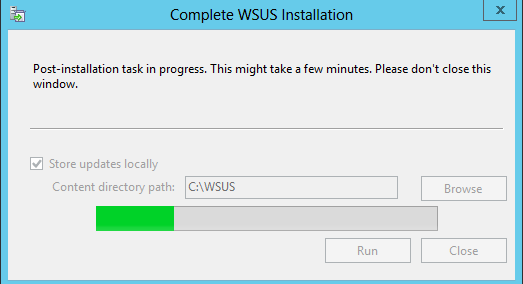 But this didn’t happend of this version of WSUS. 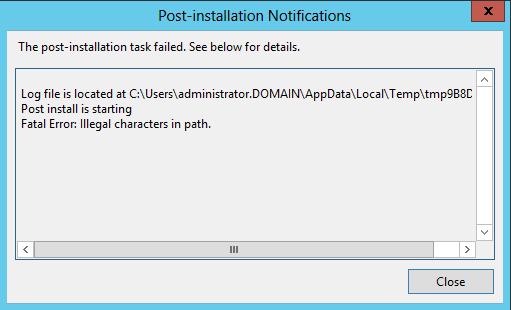 I think the most powerful thing Microsoft added into WSUS is support for Powershell cmd-lets. 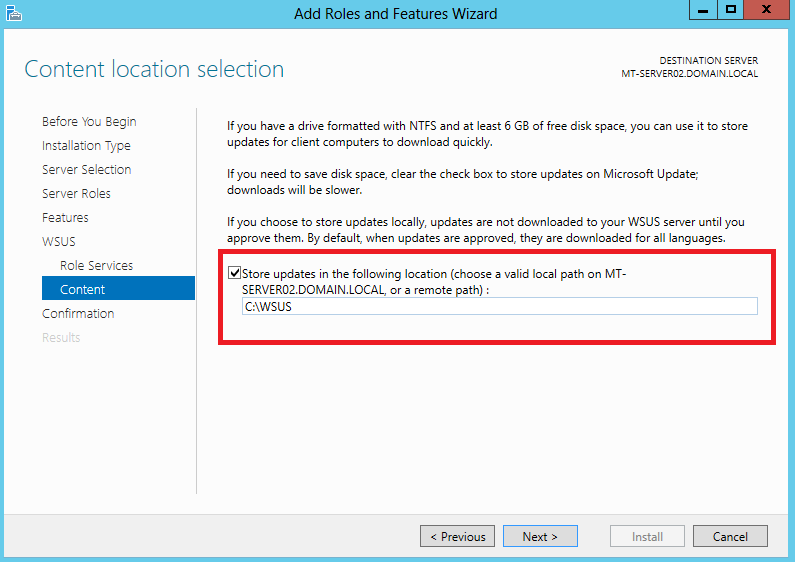 Most of the time WSUS settings about update Classifications and update Products are same from customer to cutosmer, so you can automate this settings using cmd-lets Get-WsusClassification, Set-WsusClassification, Get-WsusProduct and Set-WsusProduct. And the last cmd-let I really love, because I can make scheduled task to run Clean-up Wizard. Cmd-let is Invoke-WsusServerCleanup. You can do every cleanup task you can make from GUI. I don’t think there is too much to improve on WSUS, but little powershell support for WSUS is handy.